Her Majesty’s Prison Gloucester started its life in 1791, as Gloucester County Gaol and Penitentiary. It replaced the old county prison, which was in Gloucester’s ancient castle. The county prison held people from all over Gloucestershire who either were waiting to be tried, or had been sentenced to a term of imprisonment, at the county’s courts. The movement to build a new county prison in Gloucester began in the 1780s, following less than flattering reports on the old gaol by the prisoner reformer, John Howard, in his The State of the Prisons, the first edition of which was published in 1777. Sir George Onesiphorus Paul, who had become the county’s High Sheriff in 1780, was the chief force behind the movement. Paul’s campaigning resulted in the Gloucestershire Act being passed by Parliament in 1785, which allowed for the formation of a committee to organize the building of a purpose-built prison on land next to the old castle. Demolition of the castle began in 1787, but the Gaol Committee, led by Paul, decided that the existing prisoners would have to be kept in part of the old castle, while the rest of it was demolished in order to provide building materials. The new prison, designed by William Blackburn, was purpose-built to allow the separate system to be employed. In the old castle, prisoners of all kinds were kept together during the daytime, and the only division of the sexes came at night, when the males were put into separate sleeping quarters. The plan for the new prison was to keep prisoners waiting to be tried (and who might be found not guilty) apart from those had been sentenced to imprisonment as a punishment. It was also important that men and women were kept separate, and that juvenile offenders could not mix with “old lags”. All prisoners were to have separate cells, and inmates were not permitted to talk to each other, although they could speak to the warders and governor, and other officials. There was to be a chapel and an infirmary, and the prisoners would receive regular visits from a chaplain and a doctor. Paul also wanted the magistrates who sent people to the prison to make regular inspections of it, as “Visiting Justices”. The new prison opened in July 1791. The site covered three acres, and consisted of a main building, which housed the gaol on one side and the penitentiary on the other, and a separate house of correction. The gaol held prisoners waiting to be tried at the County Quarter Sessions or Assizes, debtors, and “fines” (people who were being held in default of paying sureties or a fine). It also held the condemned cells, for prisoners who had been tried and condemned to death. The penitentiary held convicted felons (convicts), prisoners whose death sentences had been commuted, and prisoners awaiting transportation. The House of Correction (or Bridewell) held prisoners who had been sentenced at county petty sessions courts for minor offences (misdemeanours). Altogether, the three units were designed to hold a total of 207 prisoners. The prison was entered through a gatehouse, originally built on the east side of the site. The gatehouse contained a porter’s lodge, a reception room, a messenger’s room and a bridewell keeper’s room, a fumigating room and male and female bathrooms for new prisoners. Upstairs there were four “Lazaretto” cells, where new prisoners were kept until they had been medically examined (to make sure they had nothing catching) and assigned to their classes. The gatehouse had a flat roof, on which public executions took place. In 1811, Sir George Onesiphorus Paul gave evidence to a House of Commons Committee examining Penitentiary Houses. Paul told the committee that the Gloucester Penitentiary had been designed to hold 32 male and 12 female convicts, but before long it had been realised that more cells were necessary, so the bridewell section had been closed and its accommodation had been annexed to the penitentiary, which now could hold 54 male and 18 female prisoners. In the 1820s, extensions and alterations were carried out, to the designs of John Collingwood, with the perimeter walls being extended eastwards towards Barbican Road, a new debtors’ prison being added to the east of the original buildings, and a new gatehouse being built in the north-east wall (pictured below). Executions took place on the roof of the new gatehouse from 1826 until 1868, when a new law meant that they took place within the prison walls. In 1844-1850, more building work took place, to the designs of Thomas Fulljames. Three-storey cell blocks (A Wing and B Wing) were built north and south of the original (1791) gatehouse, while a new chapel wing was added to the west. This new building, called the “Separate Prison”, was designed to hold male convicts. Female prisoners and males other than convicts were kept in the old gaol and penitentiary buildings. The prison complex was renamed Gloucester County Prison. Altogether, the addition of the new building meant that the prison as a whole could hold 350 prisoners (300 men and 50 women), all in separate cells. In 1863, a new Governor’s house was built into the wall, facing Commercial Road. In 1853, an Act of Parliament was passed by which several special convict prisons were designated to house those sentenced to more than two years of imprisonment. This meant that men who were sentenced at Gloucestershire’s courts to imprisonment for more than two years were sent initially to Wakefield, Leicester or Millbank in London, before being transferred to Pentonville. Female prisoners were sent first to Millbank, then to Brixton Prison. As a result, prisoners at Gloucester were no longer called “convicts”, and no-one serving a prison sentence there had been found guilty of committing the most serious types of crimes. In 1878, under the terms of the new Prison Act, the prison passed out of the control of the county magistrates and became HM Prison Gloucester. At the turn of the century, most of the original 1791 buildings were demolished, except for a part of them which was used as the female prison until 1904, when women were no longer held at Gloucester. This remaining part was demolished a few years later. The 1791 gatehouse, which was incorporated as the entrance block to A and B Wings, is the only surviving part of the eighteenth century buildings. During the second half of the twentieth century, additional building work was undertaken. In the 1960s, another cell block was added to the prisoner accommodation, named C Wing. In 1985-6, major reconstruction of the site took place, with old buildings being cleared to make way for a new reception and administrative block. By that time, the prison housed inmates from the area covered by the Crown Courts of Gloucester, Hereford and Worcester. In the modern era, HMP Gloucester was classified as a Category B adult male local prison and young offenders institution. It was intended to hold mainly those on remand or newly sentenced and waiting to be sent to another prison. 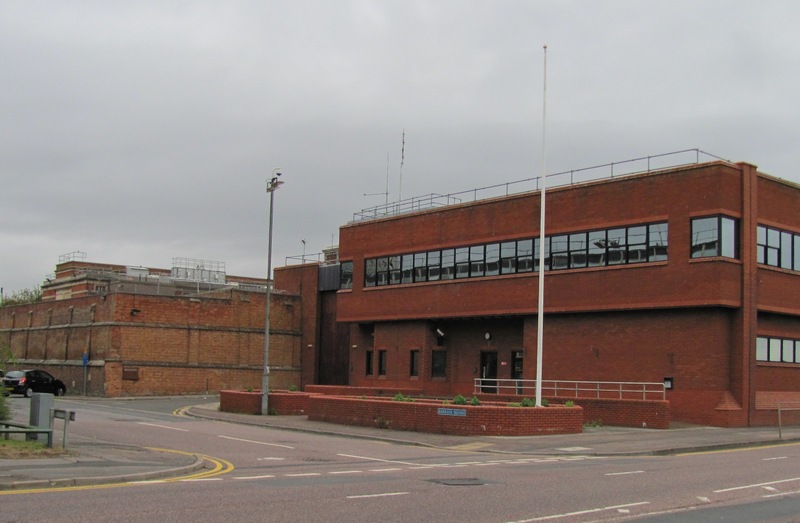 Despite the extensions which had been carried out over the decades, the design of the old buildings and serious overcrowding meant the prison’s days were numbered, and HMP Gloucester was finally closed down in March 2013. Significant parts of the prison complex are Listed. The central block, which contains A and B Wings, the chapel and the 1791 gatehouse, have a listing of Grade II*. Other parts which are Grade II Listed are the 1826 gatehouse and Debtor’s Prison, the 1860s Governor’s house, and the part of the perimeter wall which runs from the 1826 gatehouse, then east along Barbican Road, and up as far as the Governor’s house. The prison complex is now owned by a property developer. Victoria County History, Gloucestershire, Volume IV, The City of Gloucester (1988). Also available online on www.british-history.ac.uk. Lewd Women in Gloucestershire’s Houses of Correction. Now that I’ve got your attention, I will be disappointing some of you by revealing that when female prisoners were described in a house of correction’s records as being “lewd women”, this did not mean that they were prostitutes, but rather that they were unmarried mothers, who had been imprisoned because they and their offspring had become a burden on the parish rates. The term came from a clause in an Act of Parliament of 1609 (7 James I, c4) which stated that “lewd women” who had children outside of marriage could be imprisoned for a fixed term of one year in a house of correction, if they could not support their illegitimate offspring. For most of the eighteenth century, the old houses of correction at Winchcombe, Berkeley, Cirencester, Lawford’s Gate Bristol and Gloucester Castle rarely used the expression “lewd women” to describe unmarried mothers, but the 1609 statute was evidently being put into practice, as females were being imprisoned for a fixed term of one year, for having an illegitimate child which had become chargeable to the parish. The somewhat old-fashioned description of unmarried mothers seems to have become popular again when new houses of correction were opened in 1791, at Horsley, Littledean, Northleach and Lawford’s Gate (and, for a few years, there was a house of correction as part of the new Gloucester County Prison). This may have been simply because it was a short and easy way of describing the offence for which such women were incarcerated. At the same time as the expression “lewd women” became popular, the number of unmarried mothers who were sent to the new houses of correction also increased significantly. Sir George Onesiphorus Paul, who, after becoming county sheriff in 1780, had been the main force behind the building of the new county prison and houses of correction, addressed the magistrates at the county’s Epiphany Quarter Sessions, in January 1809. He gave an account of the progress of the new penal establishments, and had drawn up some figures showing the types of prisoners sent to them, the average length of sentences, etc. Regarding the houses of correction, Paul spoke at some length about the plight of the females who in recent years had been imprisoned under the statute of 7 James I as “lewd women”. These women were the only inmates of the county’s houses of correction who served a sentence of one year, most other prisoners being freed within six months. In addition, Paul commented that more unmarried mothers had been imprisoned in Gloucestershire under this statute since the opening of the new houses of correction than in the whole of the preceding century. Paul also believed that Gloucestershire was imprisoning far more unmarried mothers under this statute than any other English county. In London and Middlesex, he knew that the Act was “dormant and disregarded”. Paul suggested that the reason for the increased use of “this unmanly clause” was nothing to do with morality, but was largely due to parish officers taking advantage of the ample accommodation offered by the new prison buildings, which allowed them to transfer the financial burden of supporting illegitimate children onto the county rates. Paul must have hoped that his speech would deter Gloucestershire parishes from sending so many unmarried mothers to the houses of correction, but the practice continued up until the passing of the Poor Law Act of 1834. However, the County Gaol Calendars for Gloucestershire show that from around 1810, sentences of six, four and three months were given to “lewd women”, as well as the usual one year. In addition, while the majority of these women were still sentenced to serve one year, by 1820 many of them were being released early. After 1834, no more “lewd women” appeared in the gaol calendars. The responsibility for looking after unmarried mothers and their children had been returned to the parish, under the guise of the new Poor Law Unions, which provided outdoor relief for some, and entry into the workhouse for the really unfortunate. Note: Gloucester’s County Gaol Calendars, which include prisoners in houses of correction, are held at Gloucestershire Archives, reference Q/SG1 and Q/SG2.